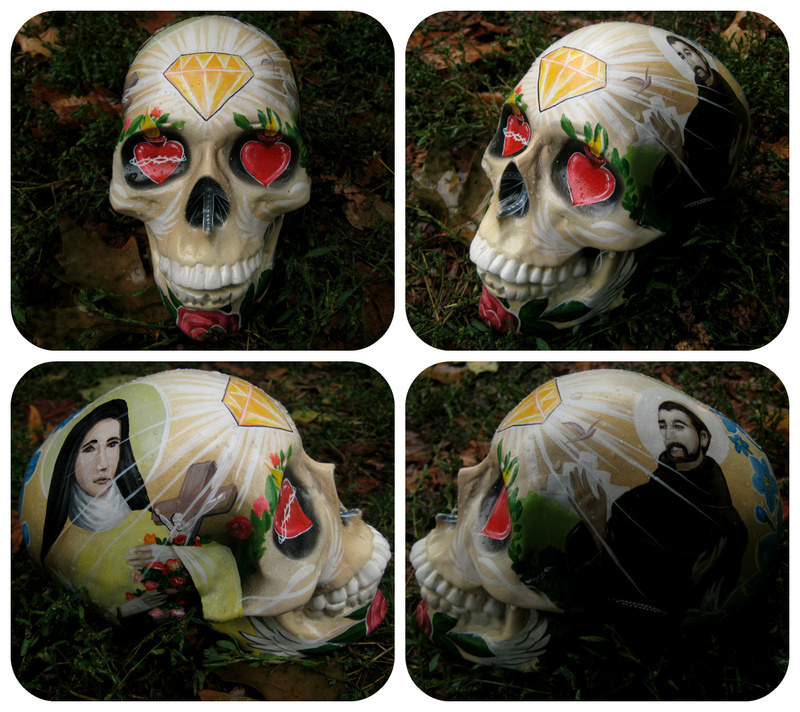 CandyCherep » Genuine All Souls’ Day skull! The project represents St Therese & St Francis praying for the dead. “Day of the Dead” is a holiday commemorating the faithful departed.